On November 22, 1943, one of the Naval Dock Yard's young mechanic apprentices sabotages the navy's sea planes, which all since April 13, 1940 had been stored away on Holmen. 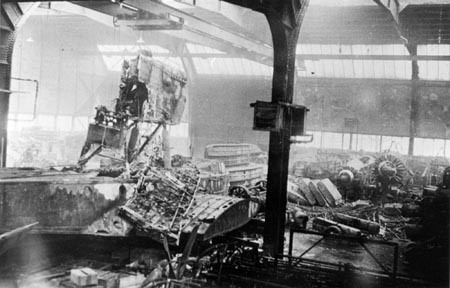 The aircrafts had all been dismantled to make room for them all in the Naval Dock Yard's hangar in Copenhagen. aircraft wings from HM II and HM III aircrafts. 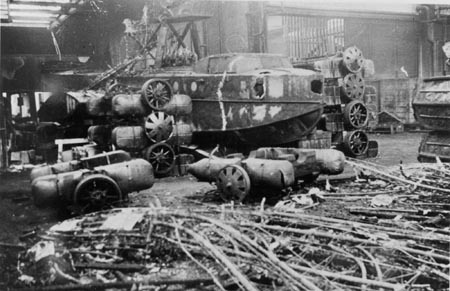 Burned-out fuselages from aircrafts of the types HM II and HM III. 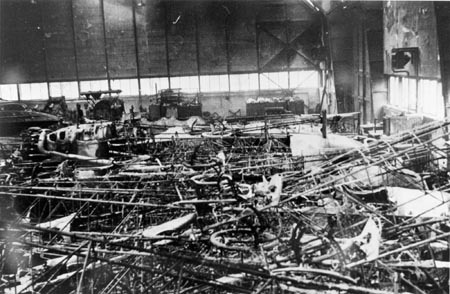 in the middle of the burned-out hangar.